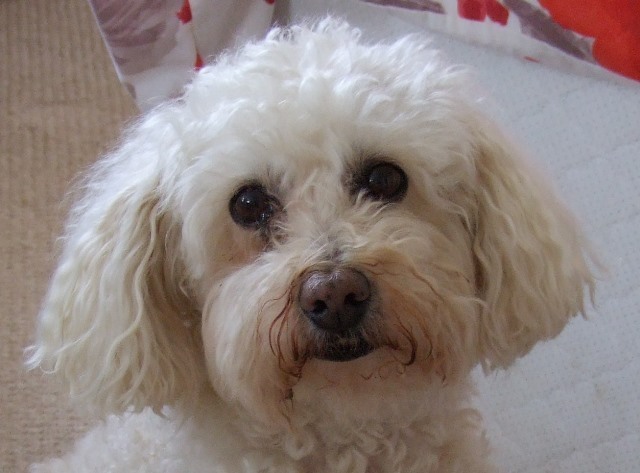 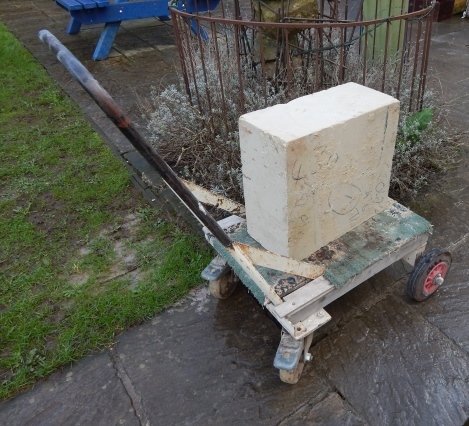 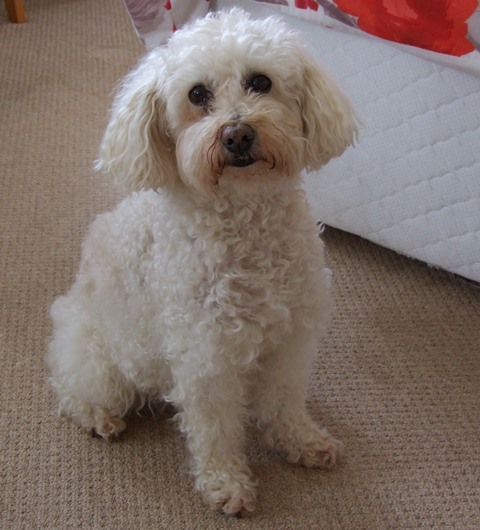 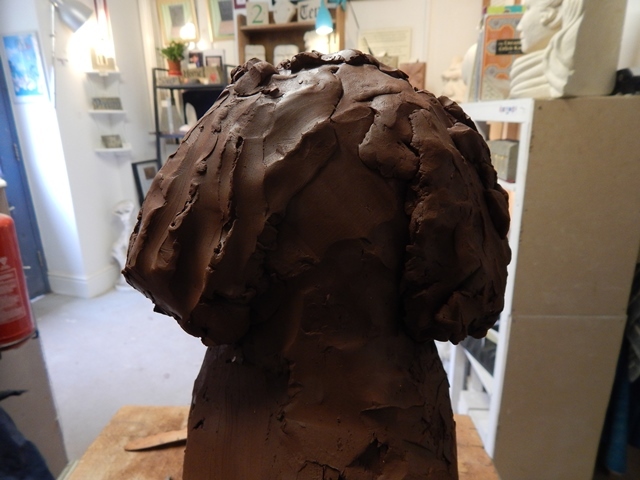 I have been commissioned to carve this beautiful Bichon Frise in Portland limestone. 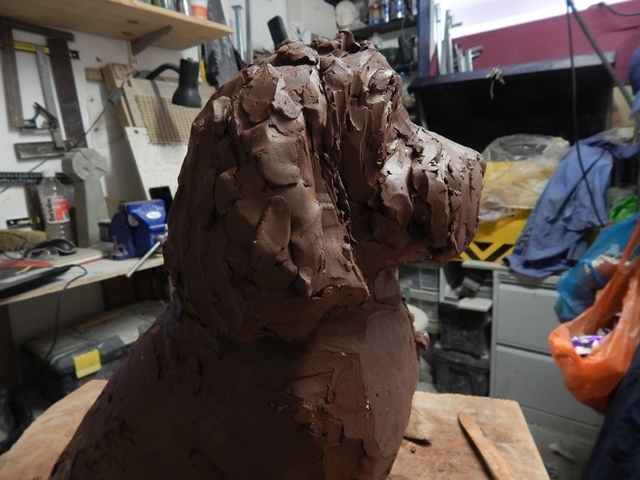 If you have seen my previous portrait commissions you will know that the starting point is meeting the dog, taking some photos and then making a clay model. 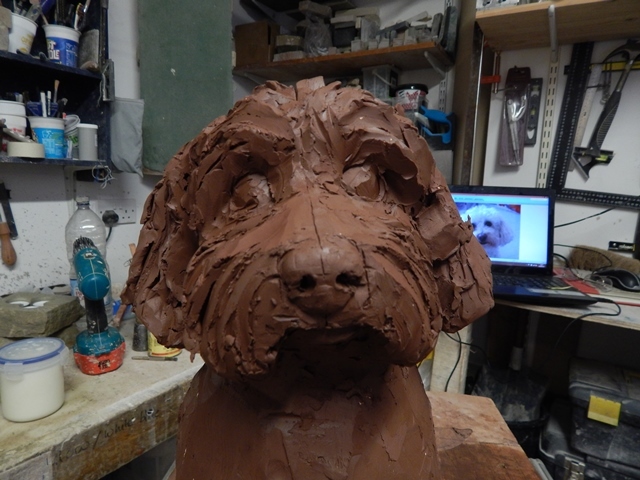 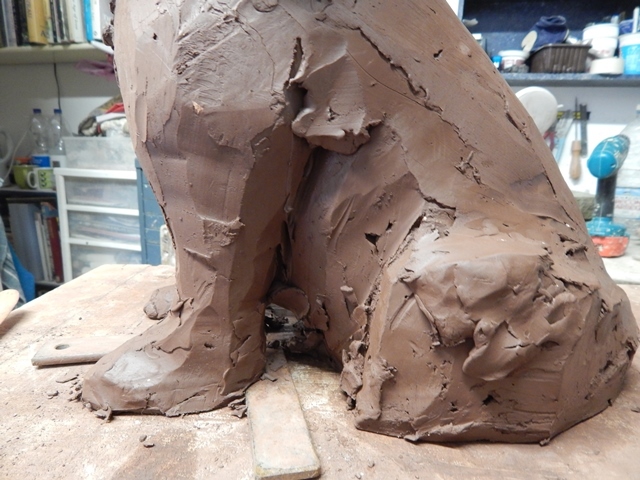 Scally is a small fluffy dog so obviously the fur will pose a challenge but by treating the curls as lumps of stone the detail can be carved to look like fur without becoming too fussy. 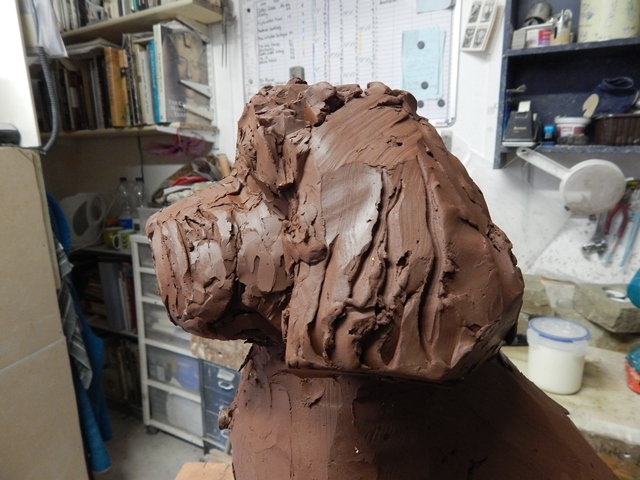 I have to shorten and lift the nose among other adjustments, more photos will follow as I develop this clay model then obviously cast it and ultimately carve him in stone. 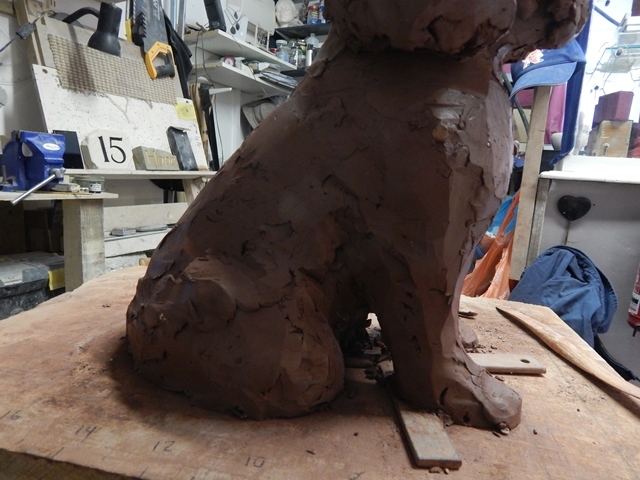 Scally is coming up on Friday so I’ll be able to work from the model!